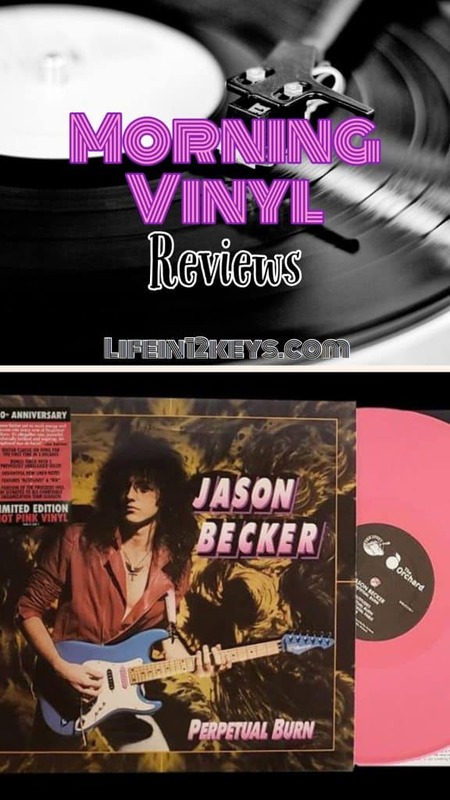 Blog Jason Becker - Perpetual Burn on Vinyl! It’s really hard to believe that this record is 30 years old! I just picked up the 30th Anniversary Reissue on “Hot Pink” vinyl off of Amazon.com. I was a bit concerned about ordering an actual vinyl record online due to the fragility of the record itself and the current climate, (August in Florida!). As usual Amazon came through with excellent packaging and timely Prime delivery in 2 days. My record came in an album sized small box inside a bigger protective box. Awesome! I happened to be home yesterday and was able to track delivery and grab it off my front porch before it became a melted pile of pink goo in the August heat. For those who may not be aging 1980’s Guitarists or familiar with the guitar music from this era, Jason Becker was in a world of his own. He was an elite musician, composer, technician in every sense who played guitar with a ferocious depth of feel and emotion far beyond his then 18 years. Don’t let the cheesy photo on the cover fool you. 1980’s fashion aside, this record is DEEP and highly musical in a way that any fan of Rock, Metal, Fusion or Classical music will enjoy. It’s heavy, soft, beautiful, ugly, light, dark and everything in-between. It was unlike anything I had ever heard before (or since). Perpetual Burn had a special significance for me as it came out right when I started playing guitar. I had been given a cheap Hondo 3/4 size acoustic by a high-school girlfriend in the fall of 1987. I was 16, working part-time at Arby’s, neglecting my school work and fantasizing about being the next Eddie Van Halen. After hacking away on acoustic for a few months, in December that year I had saved up enough money for a cheap electric guitar and amp combo. Well, not quite enough. Thankfully my parents contributed to half of the cost. I was ecstatic! At this point in my life I was really into Van Halen and those first few Ozzy records with Randy Rhoads and Jake E. Lee. I dabbled in the new Thrash Metal bands like Metallica and Megadeth and I had discovered Yngwie J. Malmsteen a few years earlier. These are the people who inspired me to pick up the guitar. Van Halen, followed by Randy Rhoads had elicited a crazy cult following amongst guitarists that continues today. It always amazes me that there are guys 40 years later still trying to nail down Eddie Van Halen’s tone on those first few records. It’s that good. It was life changing, fresh and unlike anything anyone had done before. Randy Rhoads took a lot of the things Eddie did, put it into more of a Classic Metal context and introduced elements of Classical Guitar into it. When I first hear “Marching Out” by Yngwie in 1985, at first I didn’t even believe it was a guitar. It was too good, too clean, too precise to be a guitarist. Yngwie changed everything and pushed the boundaries of what people thought were possible in a rock guitar context. Yngwie had been discovered in the early 80’s by a guy in California named Mike Varney. Mike was a guitarist and wanted to start a record label devoted solely to virtuostic, instrumental guitar music. 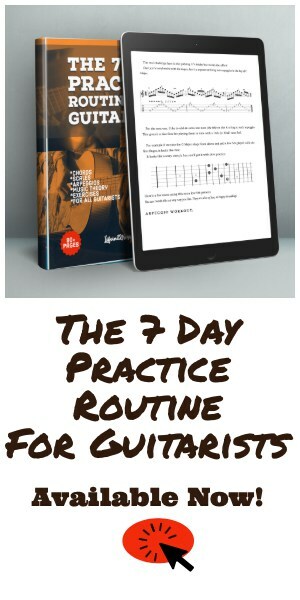 After Van Halen and Yngwie, and including fusion giants like Al DiMeola, John McLaughlin and Paco DeLucia, guitar music had taken a giant evolutionary leap forward in the early 1980’s. Good guitar music was more popular than ever before. Mike Varney’s Shrapnel Records capitalized on this by showcasing some of the best raw talent from around the world. Some of the guys who really stood out for me, players who I love and admire to this very day including Paul Gilbert, Vinnie, Moore, Greg Howe, Richie Kotzen and of course Marty Friedman and Jason Becker.. all got their start on Varney’s Shrapnel Records Label. It was a great time to start playing guitar! 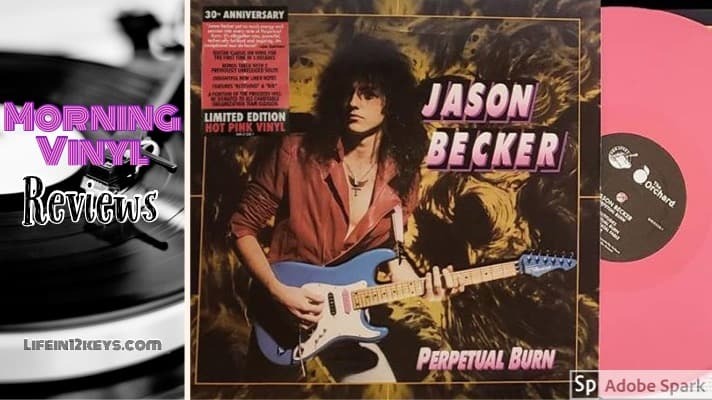 As much as I loved all of the fantastic guitarists putting out records on the Shrapnel label, Jason Becker’s Perpetual Burn just resonated with me on a level I hadn’t experienced since the first time I heard Van Halen I when I was about 13 years old. What the hell am I listening too? Is it Metal? Is it Classical, Blues, Rock? How is he playing like that? It was unbelievable and life changing for me as a beginning guitarist… and to think he was only 2 years older than me! Every song, every note, a compositional triumph from the second the needle drops. Did I mention he was only 18 when he recorded this? Stop! To say that this record has aged well is an understatement. In a world of pro-tools, digital recording and soulless 12 year old Youtube “virtuosos”, Perpetual Burn remains refreshing and vital to guitar music in a way I’m just not seeing anymore. His technique is staggering, sure. The feel, vibrato and phrasing though.. this is what really set Jason Becker apart from his peers (if he really had any peers) of the time. Perpetual Burn was way ahead of its time. If you are into Prog bands like Dream Theater or Symphony X you’ll love this record. It’s basically a blueprint for what those bands were doing in the 90’s and beyond. It’s the best Rock Guitar Instrumental Record of all-time. Sure, thats subjective, but it really is to me. The production still holds up. Atma Anur’s drums sound great and the guitars still sound pristine by todays standards. The packaging is good but could have been better. I don’t blame the Beckers as I see this type of thing in many vinyl reissues that I own. The record comes in its own sleeve, but instead of an actual printed sleeve, a separate color insert is added along with it. The insert has 2 beautiful stories by both Jason and Marty Friedman. The hot pink vinyl looks killer and was a neat idea to add to this classic record package. I paid $20 on amazon and felt that was a great deal considering many colored vinyl reissues are going for at least $10 more. I’ve always said Marty Friedman’s solos on Megadeth’s Rust in Peace were the best Metal guitar solos ever recorded. I stand by that statement. In 1987-88 though, Marty hadn’t completely found that beautiful unique voice he had in 1990 (and still has). Becker had it in spades. He was a fully evolved, seasoned guitarist at 18 years old. 18! Fans of these guys know the story, but these two working together was a match made in heaven. The liner notes that come in this re-issue record sleeve contain newly penned 2018 stories from both Jason and Marty. Marty’s story of how they met and worked together is both moving and informative. Marty essentially co-produced this album while simultaneously working on his own record “Dragon’s Kiss”. They lived together and played together 24/7 in the studio during the making of both records. Marty contributes beautiful solos to a few tracks too. His opening solo on “Temple of the Absurd” will send a chill down your spine. It’s hard for me to talk about Jason without going on and on about how he inspired me in so many ways both on the guitar and in his personal life. It’s not about me though. I could say that me being a professional guitarist now for nearly 27 years that I owe him a great debt. Actually, that would be an understatement. I owe him so much more than what I could possibly convey in words. Everything good in my life I owe to the guitar. From meeting my wife Celeste (married 21 years!) to the lifelong friends I’ve made over the years.. all have been a direct result of me playing the guitar.. and in turn Jason Becker. I will always love him for that. Of course I knew Jason was going to make it BIG. I think everyone that had come into contact with him or heard his music knew it. 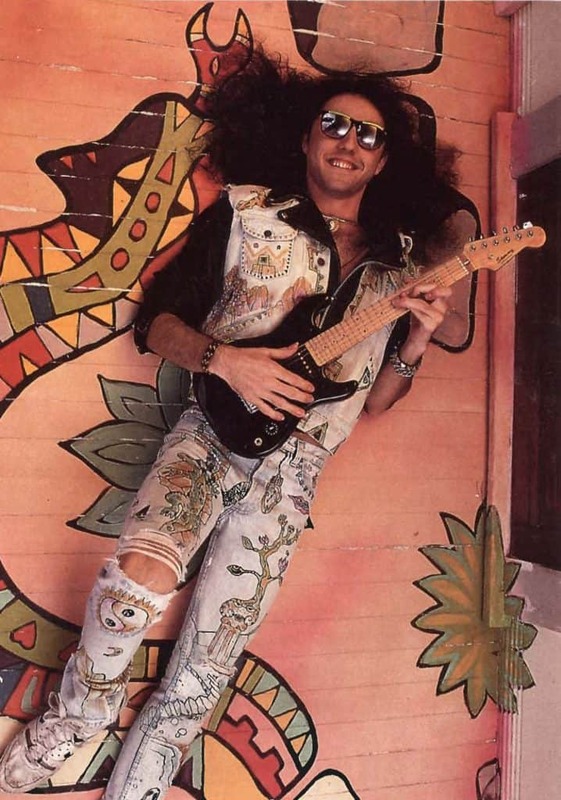 He was just starting to get more press in the guitar magazines and then it happened… He got the David Lee Roth gig! As a huge Van Halen fan (and DLR fan) I was pretty excited about this. I loved the first David Lee Roth record, “Eat ‘em and Smile” with Billy Sheehan, Greg Bissonette and Steve Vai. It’s a classic record. The second one “Skyscraper” was ok, but the music had lost something. When Dave put out ‘A Little Ain’t Enough’ I felt he had gotten some of that fire back from that first record and his classic Van Halen days… thanks to Jason Becker’s playing. We had heard Dave had a new guitarist and heard rumors that it was in fact, Jason Becker. It’s amazing how we knew anything back then without the internet, but news travels. I loved that record and could not wait to finally see Jason live for the first time on that tour. We bought our tickets for the Blossom Music Center show in Cuyahoga Falls, Ohio and were excited that Extreme was one of the openers. Getting to see Nuno Bettencourt and Jason Becker at the same show.. wow. My excitement didn’t last long when we immediately noticed that Jason wasn’t playing in the band. What gives? It wasn’t until a few weeks later we found out the reason for Jason’s absence from the tour. He had ALS, Amyotrophic lateral sclerosis, (aka Lou Gehrig’s Disease). No! It couldn’t be. I was devastated. From what I’ve read, Jason started to notice physical problems prior to the recording of ‘A Little Ain’t Enough’. While he was able to finish the record (with fantastic results), he became too weak to proceed with the upcoming tour. 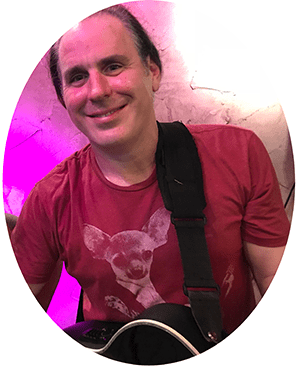 The DVD contains amazing footage of his playing as well as a touching story of his journey through life with ALS, and the unwavering support of his beautiful family. Really, a MUST SEE. Oh, in case you were wondering.. its now 2018 and he’s still not dead yet! Go Jason! 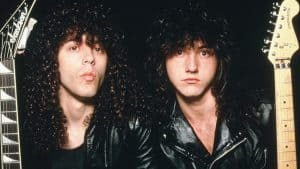 If the only thing Jason Becker had given us was Perpetual Burn, his contribution to guitar music would still be immeasurable.. but he has given us so much more. His story is an inspiration to anyone, not just guitarists. Everyone. Thank you Jason for everything you’ve given me in my own playing and in my heart. Check out Perpetual Burn on Reissued hot pink vinyl in your favorite local record store or grab it on Amazon like I did! A portion of the proceeds from this reissue will be donated to ALS charitable organization Team Gleason.